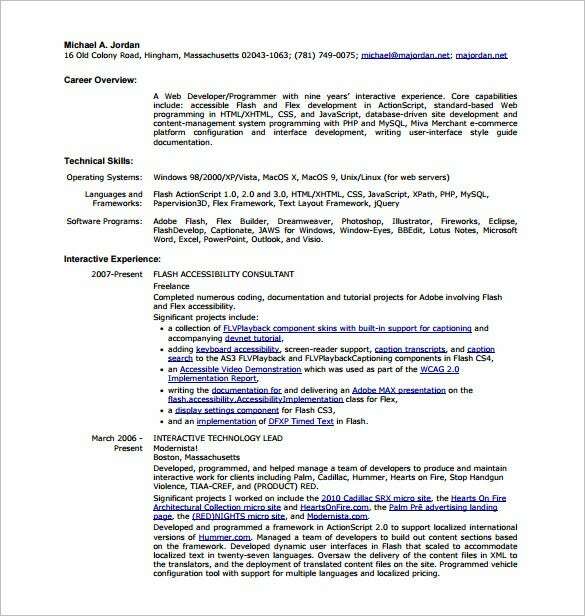 The field of web design is always welcoming fresh talent to join the brigade and further strengthen the standards of the sector. 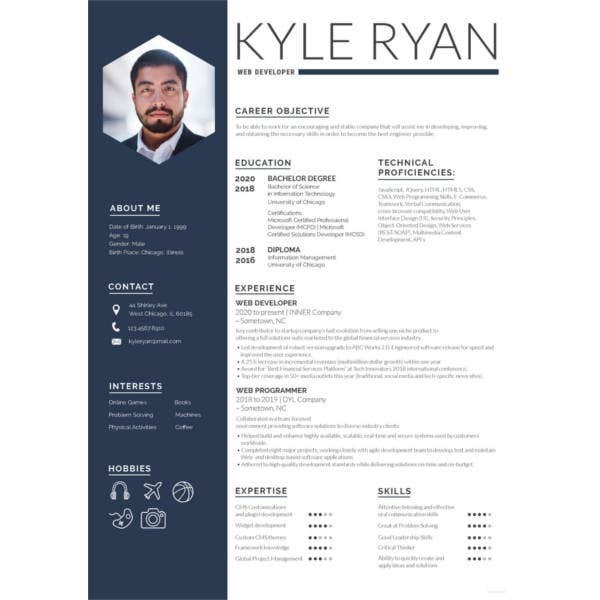 If you’re a web developer looking to grab a qualitative job opportunity is web development, then you’ve got to make a resume templates which matches your desire, We have got plenty of effective resume templates for individuals belonging to web design and development. 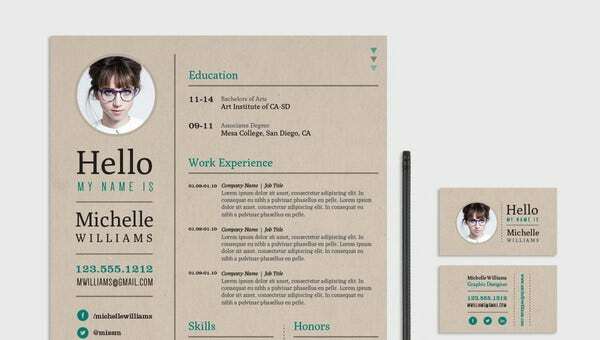 Each format has its own share of pluses, you just got to find the template which suits your talent best.you can also see Designer Resume Template. 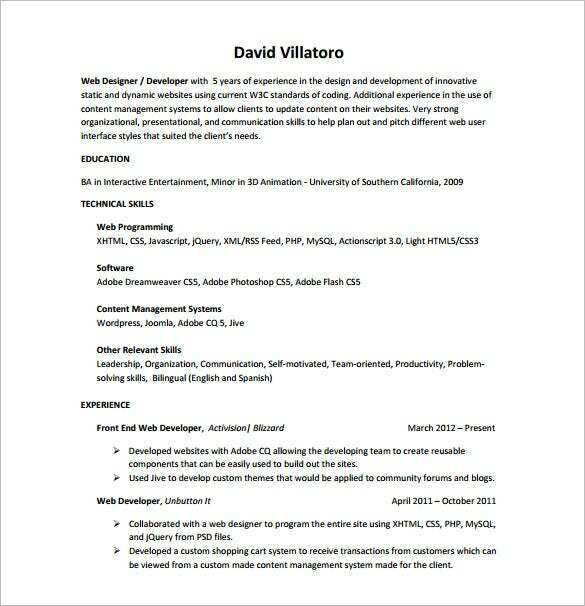 If you are looking for a concise resume that will jot down all the necessary points for a resume but without getting too elaborate, this is the resume for you. 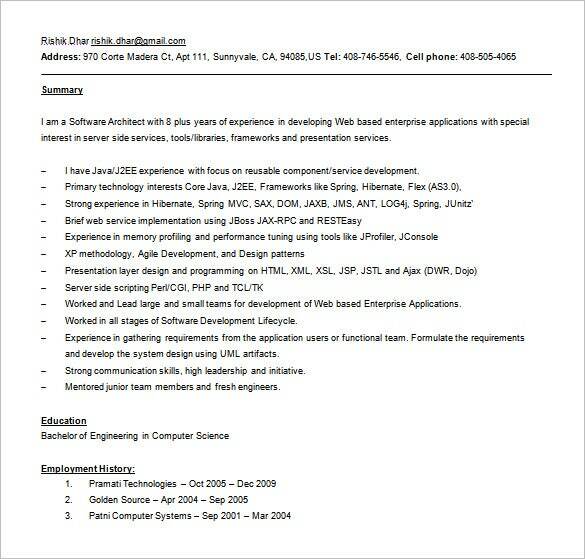 You may also see Java Developer Resume Templates. 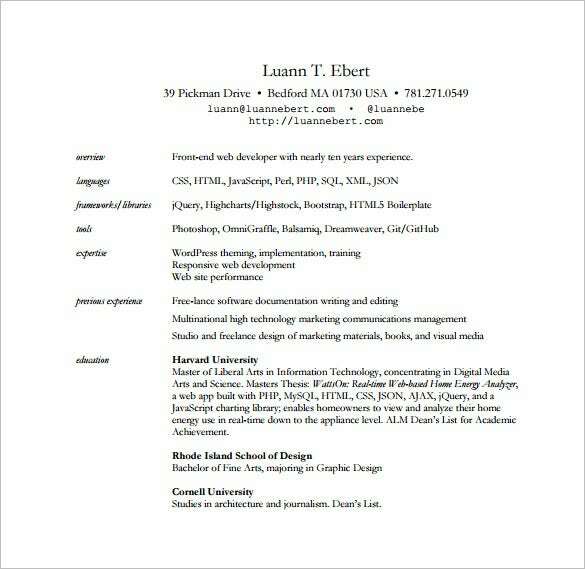 This template here has been divided into two major parts such as personal characterization and professional history. 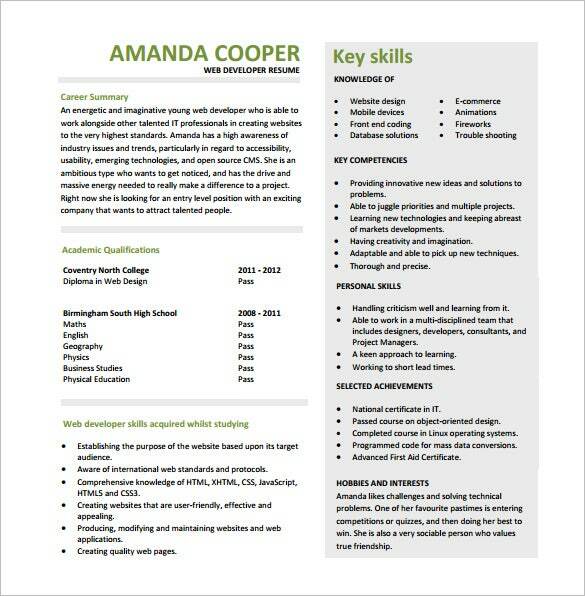 This way your employer would be able to have a hang on both your skills and personal characteristics. 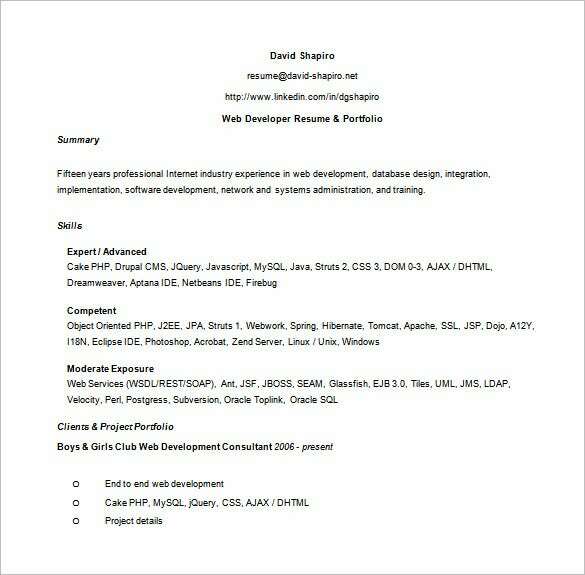 You may also check out here PHP Developer Resume Template. 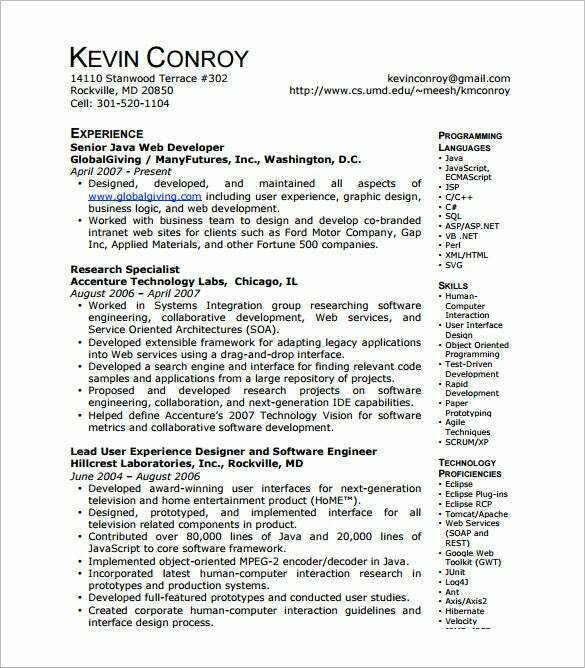 This is a very simple yet practical and meaningful resume. 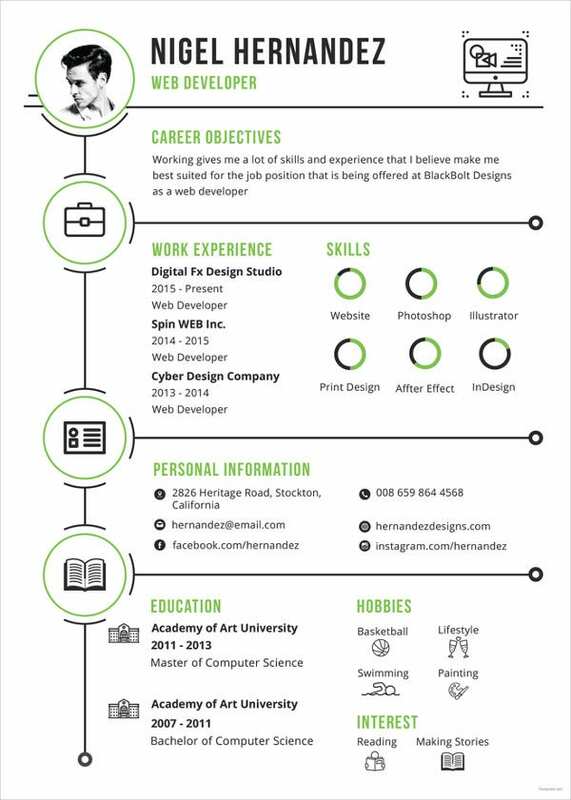 Neatly organized, it starts with a summary and then proceeds to your knowledge on technologies, work experience and the duties mostly handled by you. 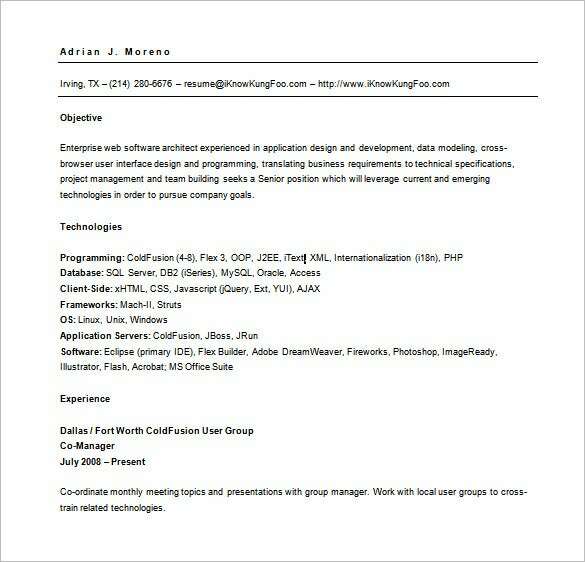 You may also see Designer Resume Template. 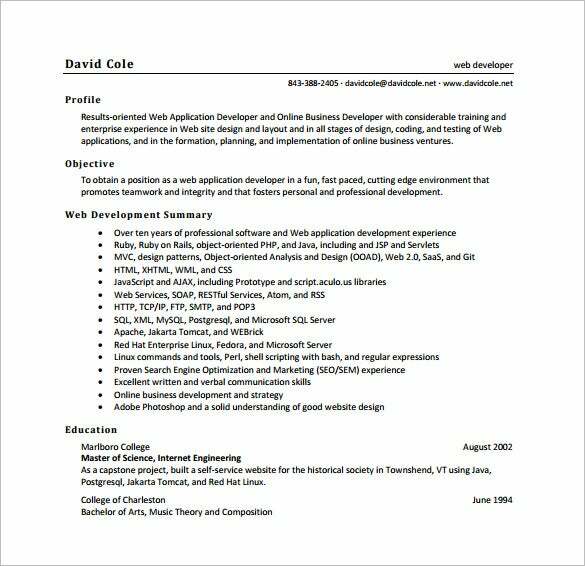 You can select the sample format accessible to be found in the template or add some layouts you want for your Resume Templates be what is supposed to be. 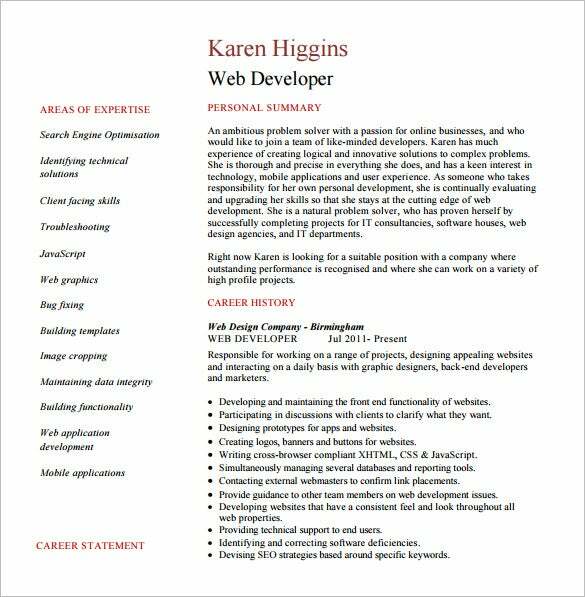 Many people are now familiar in the internet but not are all familiar to web development, standing out and showing your talents into your resume can get this job for you.